We just got the first official sighting of the Sony Xperia SL – the refreshed version of the company’s current smartphone flagship. It appears that someone over at Sony jumped the gun and published the official page of the smartphone two weeks before its expected announcement at the Sony pre-IFA press conference. As expected, the Sony Xperia SL is based on the Sony Xperia S, but comes with a slightly faster CPU. The dual-core Qualcomm S3 chipset has its two Scorpion cores clocked at 1.7GHz, instead of 1.5GHz, but the rest of the specs sheet is identical to that of the Xperia S.
This means that the Sony Xperia SL is offering 32GB of non-expandable storage, an Adreno 220 GPU and 1 GB of RAM. At the front there’s a 4.3” Bravia-powered LCD screen of HD resolution and a 1.3MP camera for video-chatting, while at the back we find a 12 megapixel camera with 1080p video recording. Connectivity is duly covered with Wi-Fi, GPS Bluetooth, microUSB and microHDMI available to you as well as quad-band 3G with 14.4MBps support. 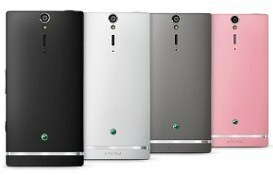 Measuring 128.0 x 64.0 x 10.6 mm and weighing 144 g, the Sony Xperia SL body is identical to that of its predecessor, but it will be offered in a new pink color in addition to the previously available white, black and grey. As there’s no official press release just yet, we don’t know anything on the availability and pricing of the Sony Xperia SL. We should find out about that on August 29, when the smartphone will get its proper announcement.